SDPB - Images Of The Past is something you should read. Brian Gevik, South Dakota Public Broadcasting spent time in the Black Hills visiting CCC camps and project sites. 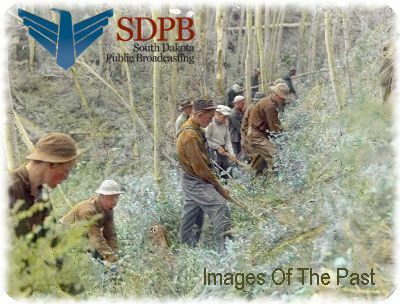 The result of his time was a wonderful review of the Civilian Conservation Corps that appears as part of the SDPB web series Images Of The Past, South Dakota history in film, photos, and video. On Thursday September 6, 2018 Mr. Gevik reviewed information at the Civilian Conservation Corps (CCC) Museum of South Dakota. An interview with Jay Hendrickson was also on the schedule. Hendrickson, now age 97 1/2, spoke of his time in the CCC starting when he was only 16 years old. Jay's comments as well as other interesting comments, photos and narrative are part of the video produced for SDPB. 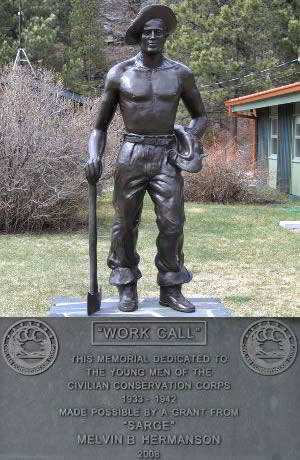 Thank you, Brian Gevik, for your time and interest in the Civilian Conservation Corps in the Black Hills. We invite you and everyone to visit the museum anytime you are in the area. The museum is in the Hill City, SD Visitor Information Center at 23935 Hwy 385, Hill City, SD 57745. Thank you, Brian Gevik, for your time and interest in the Civilian Conservation Corps in the Black Hills.